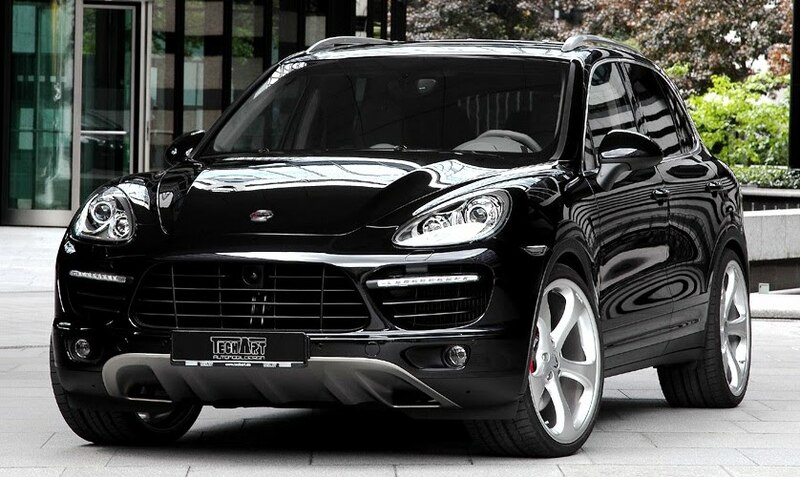 Techart released today its first tuning programme for the new Porsche Cayenne which recently made its debut at the 2010 Geneva Motor Show. The tuning package includes individualization options for the exterior, the engine area, and the interior of the SUV. Now don’t get too excited because this kit is just the first one from the German tuning firm and is not actually the "Magnum body-kit" you all waited for. The exterior changes for the new Cayenne are minor and include trims painted in custom color or in carbon fibre. Inside, Techart brings a new rear-seat-entertainment system and a new 3-spoke sport steering wheel with paddle shifters. The design of the car is completed by the new Formula and Formula II light alloy wheels as well as Formula III forged light alloy wheels in dimensions of 20 to 23-inch. These wheels can be painted in order to match custom colors. Also, the tuning fir offers an engine styling package with carbon cover as well as the sport tailpipes in polished stainless steel.